There are many more to do, but it is great to see progress on this. They look great. Our roofer is working to make them as symmetrical as possible. 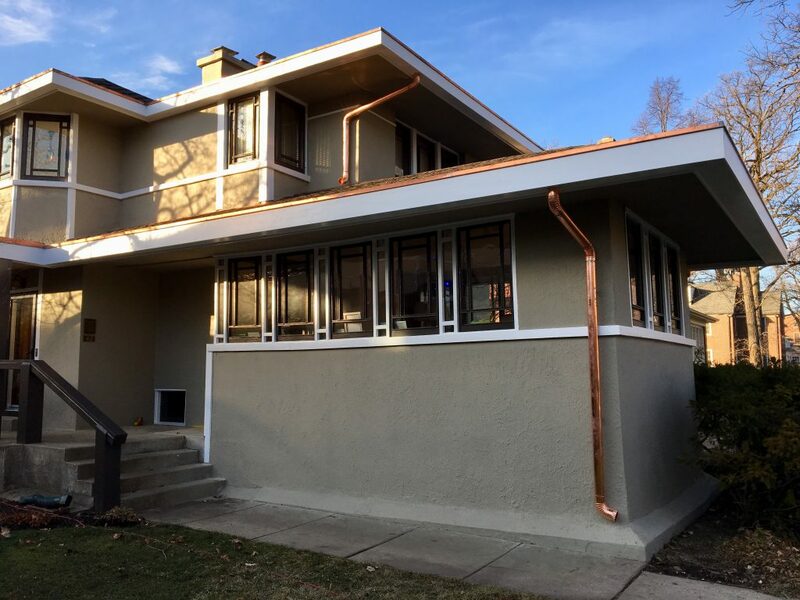 We looked at old photos to try to locate the original downspout locations, but it was virtually impossible. 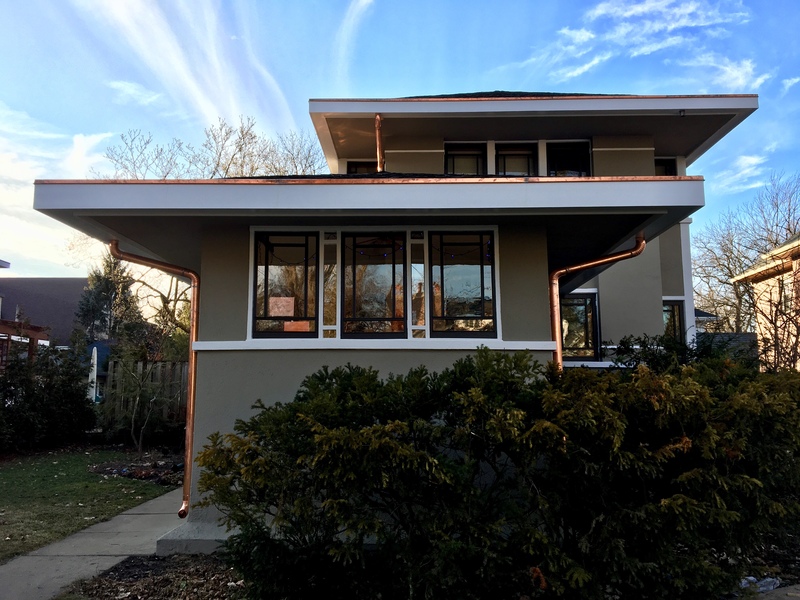 I believe the architect worked to minimize the downspouts on the house originally, and I think the roof was probably pitched to drain water into the back of the house. Old photos of the front show no downspouts, so there wasn’t much to go off of to identify their original locations. 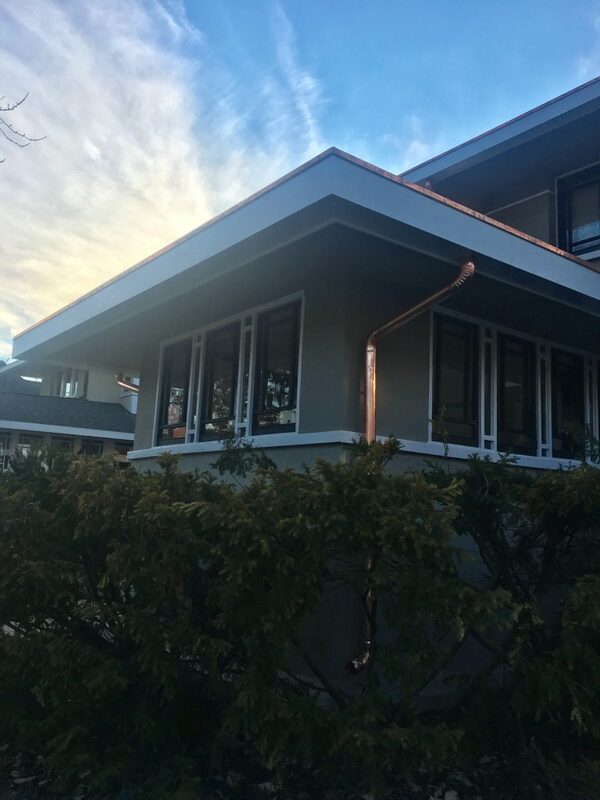 It has been suggested to me by historical architecture experts that the house may have had internal downspouts or perhaps water chains, but I could not find any evidence of either. 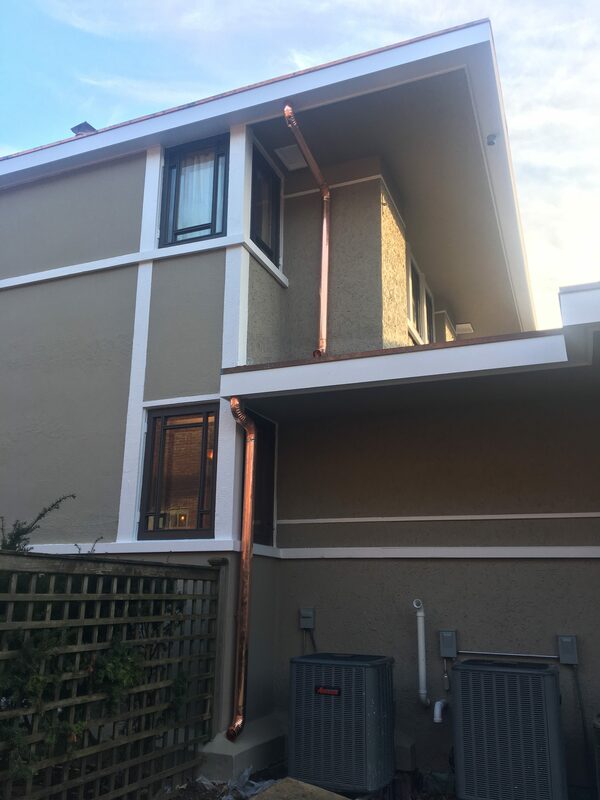 So, we picked the downspout locations for functional reasons, with an attempt to make them as symmetrical and consistent as possible. 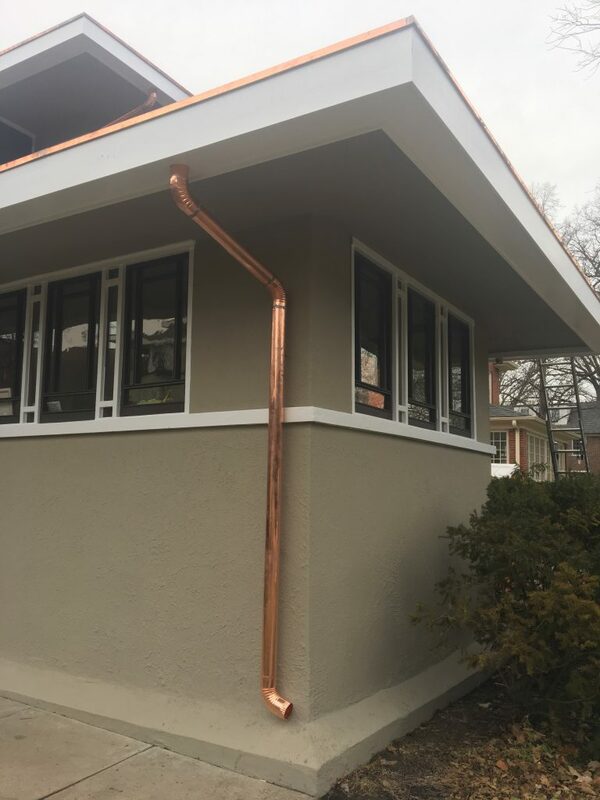 Once the downspouts are finished, we will need to deal with directing all of the water away from the house by draining into underground drainage pipes. At some point, I hope to connect those to the village storm sewer once they extend it to our property. Appliance installation is scheduled for January 3rd, and our builder is working to finish some minor electrical and plumbing items so that they can be installed. 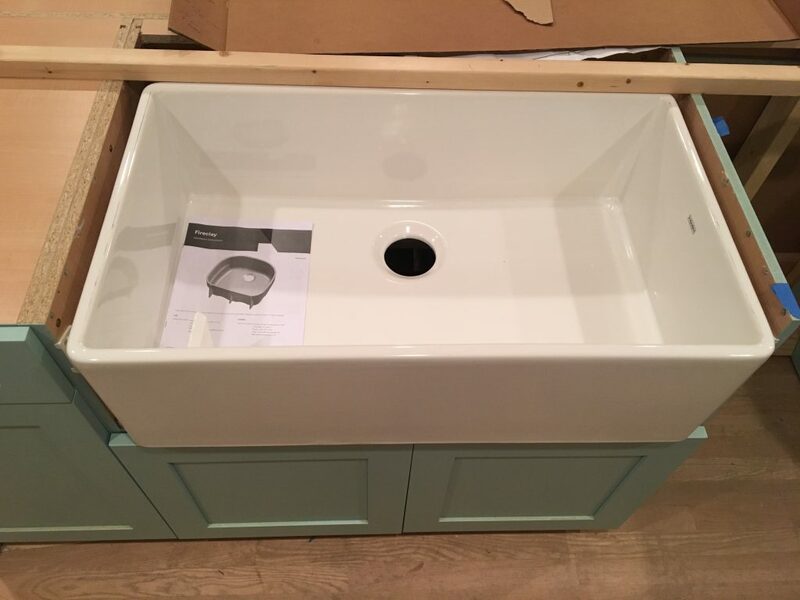 These include adding shut-off valves for water lines and a gas line, connecting 220V wiring for our double wall oven, and sealing the wood floor beneath each appliance. Other details are progressing as well. The electrician installed AC disconnect switches for our AC compressors. 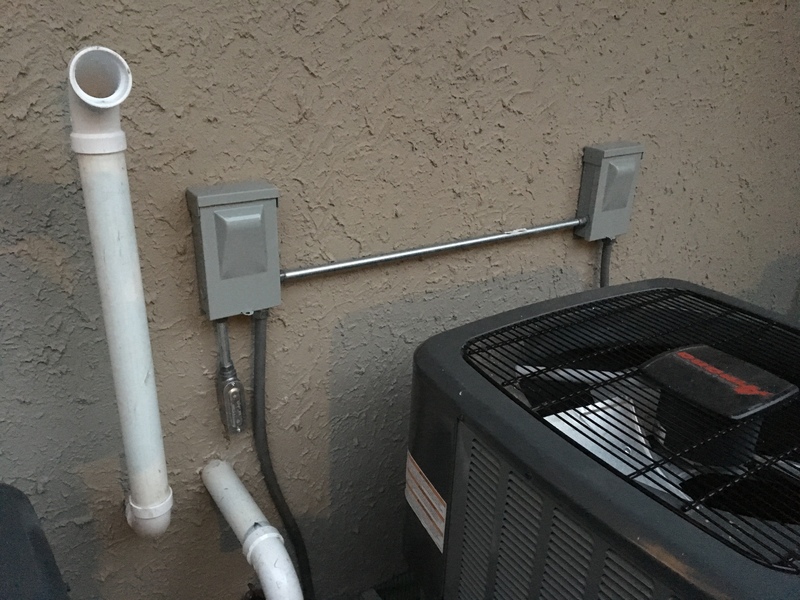 The condensate line has been moved. 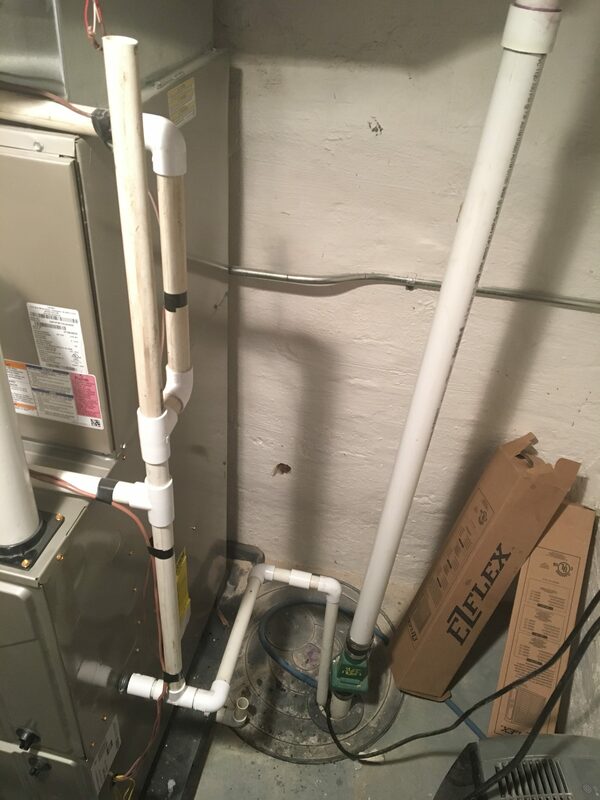 It was previously plumbed into our sewer ejector pit, so nothing would have prevented sewer gas from coming up through this line into our house. We changed it to go into the old sump pump pit instead. The plumber will be sealing up the ejector pit this week. 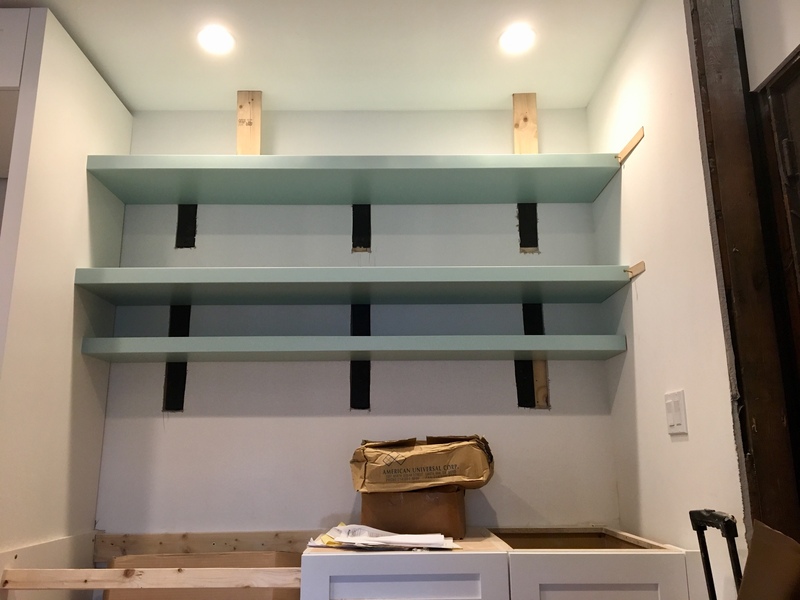 This week, we expect that the carpenter will finish building the mudroom cabinetry. 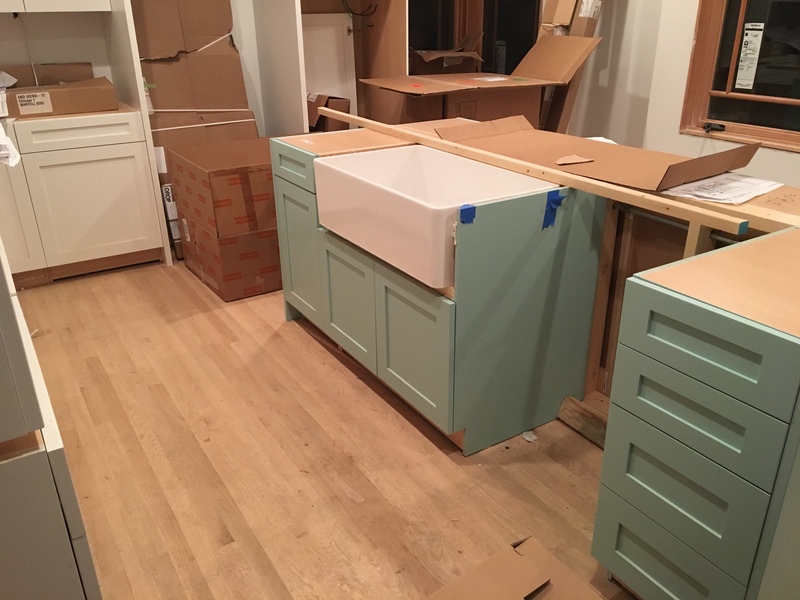 The countertop should be installed in the next two weeks.